I came up with this great get-rich-slow idea a few years ago. I’d make and sell jellies, jams and mixes. The only problem was I’d never made any jellies, jams and mixes. So I figured I could learn, how hard could it be? All I really knew about the whole process was what I observed as a child in my grandmothers kitchen. I remember she and my aunts and my mother running from the stove to the dining table with steaming hot jars wrapped in dish towels. 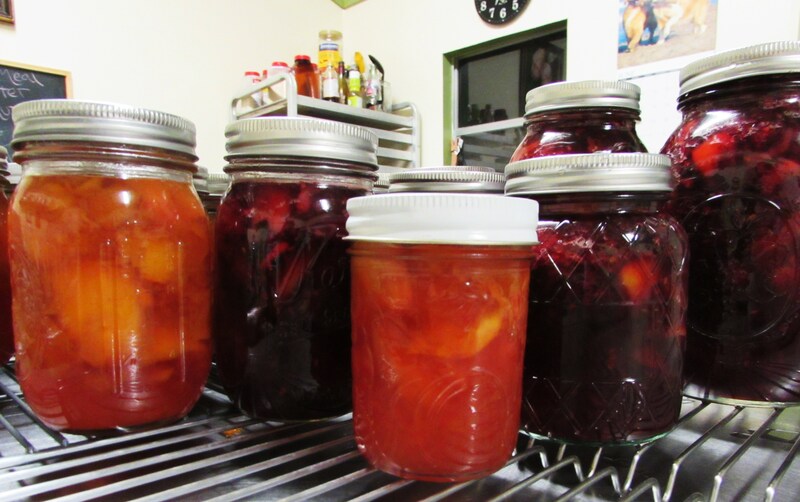 They would turn them upside down on a cooling rack and I sat under the table and listened for the ‘pop’ that said the jars were sealed. So ‘pop’ goes the seal is pretty much all I knew about this brilliant new business of mine. 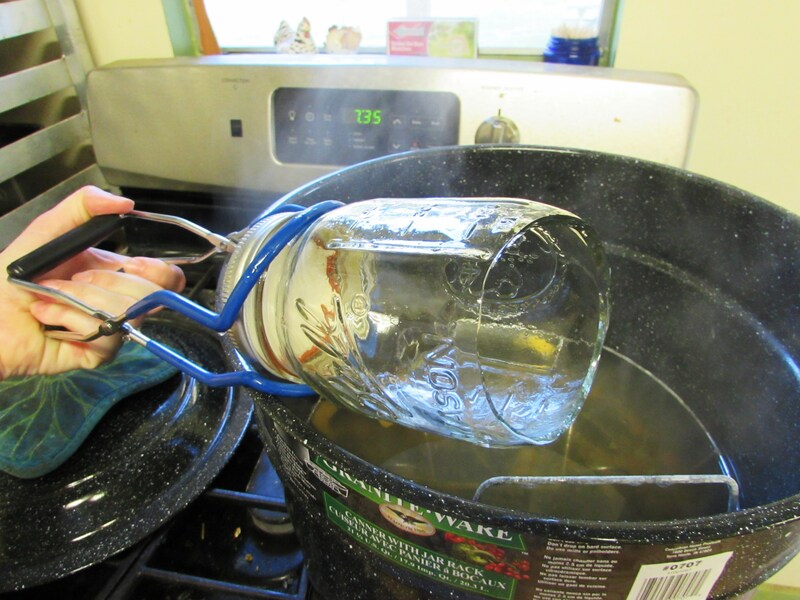 I bought a huge water bath canning pot, a handy little magnet for picking up hot lids, a funnel and the Big Blue Book from Ball. This was all good and well but I had nothing to preserve. So my mom and I went and picked an entirely stupid amount of muscadine grapes. 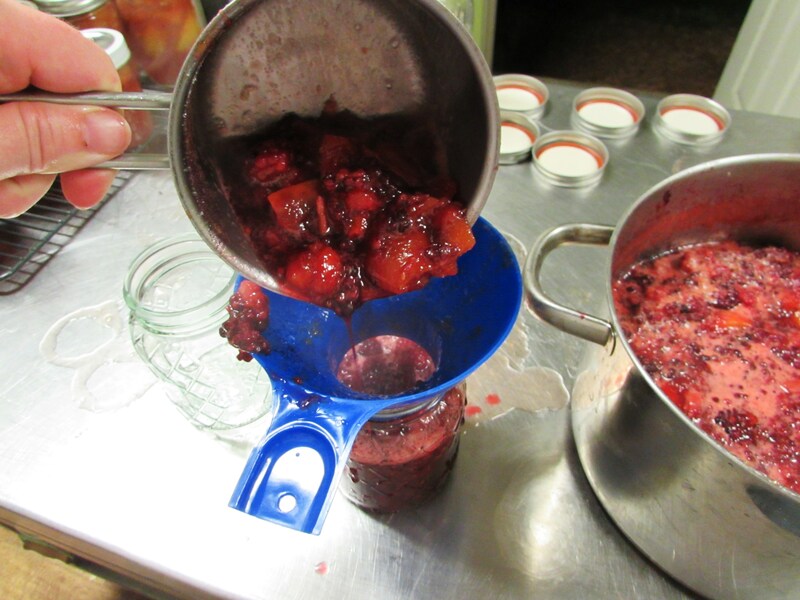 Then I got really busy and the grapes were about to go bad so I juiced them and froze them. ‘Cause I was going to make this jelly, you know? I ended up giving the frozen juice to one of my previously mentioned aunts. She gave me some jelly for my trouble. This was about 4 years ago. Needless to say I haven’t gotten rich selling jellies, jams and mixes. I have moved that huge canner thing I bought about 10 times and dusted it every other move. I considered selling the damn thing on e-bay because it took up so much space. Yet, I held on. And I am so glad I did because some good friends called to say their peach tree was so over-loaded the limbs were breaking, could we please pick some? 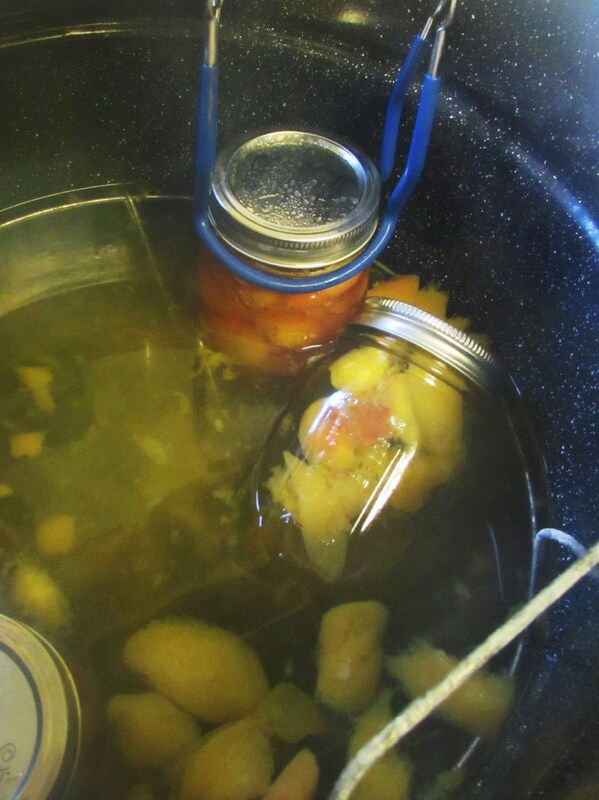 Happily we obliged and within 3 days I put that dusty canning pot to work. 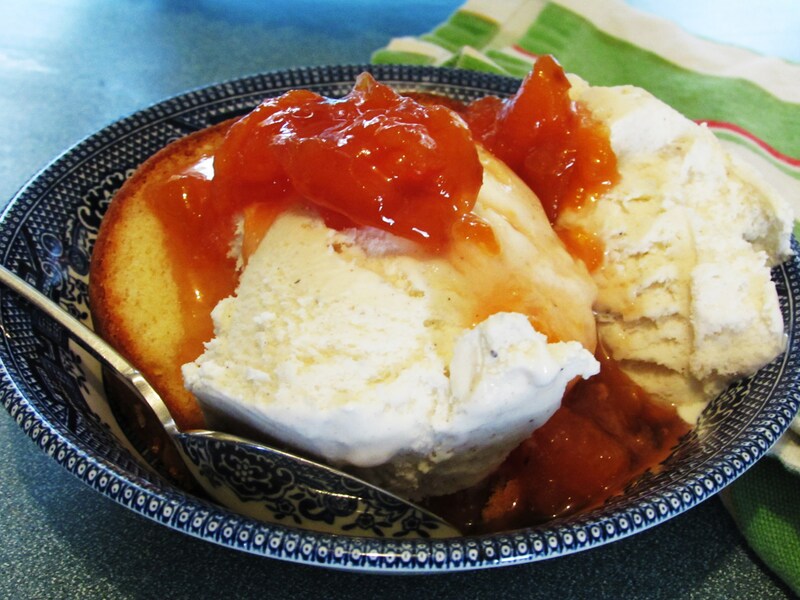 While I won’t be selling my preserves anytime soon they came out lovely and when paired with pound cake and ice cream they are to die for. 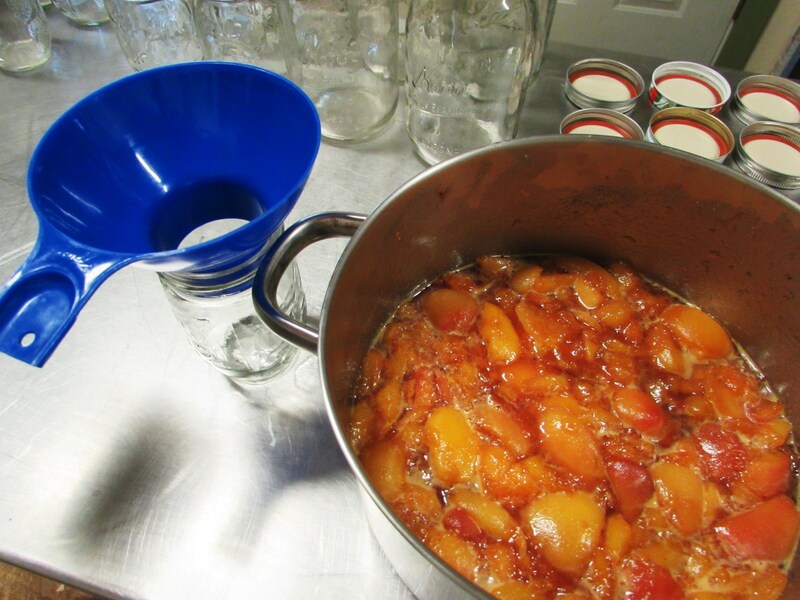 Here is my first foray into canning, I see many more canning days in my future. 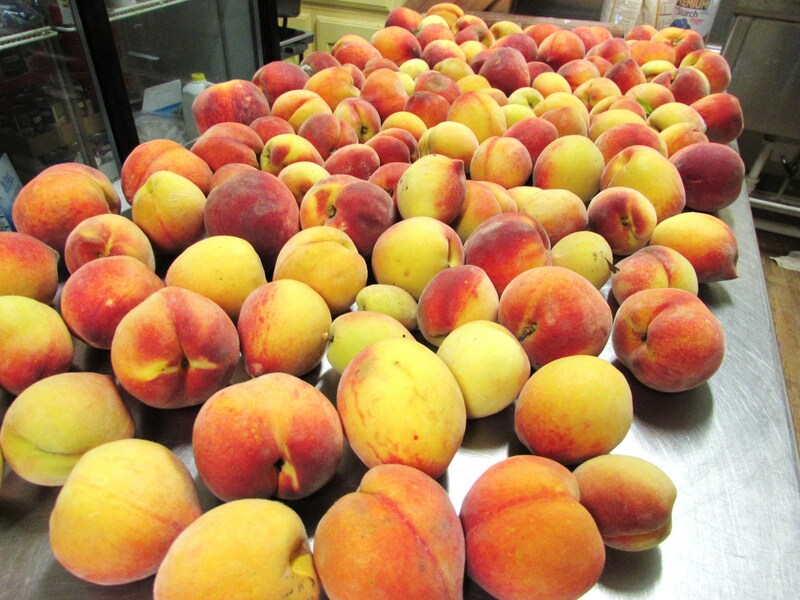 The Peaches. Two large feed buckets worth. 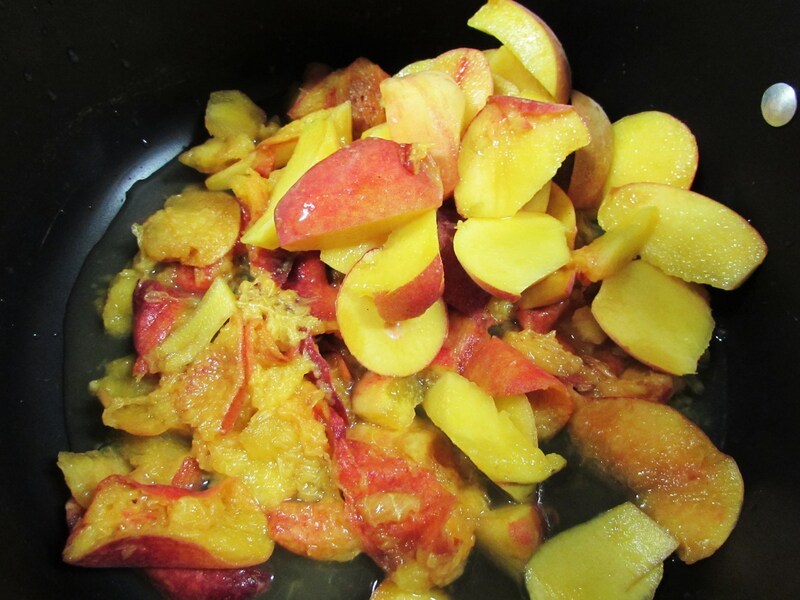 Since I have never really put up anything like this before I just hit up the internet and found a recipe that didn’t require peeling the peaches first. This really appealed to me for obvious reasons. I began by smashing a few in the bottom of a heavy pot. Well, actually 3 heavy pots. 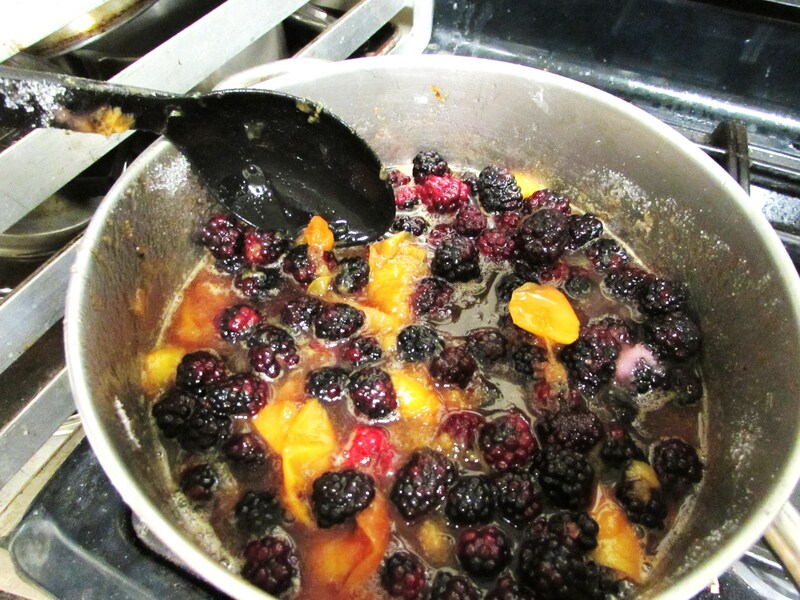 Then, since I am really good at following directions, I let them start simmering. 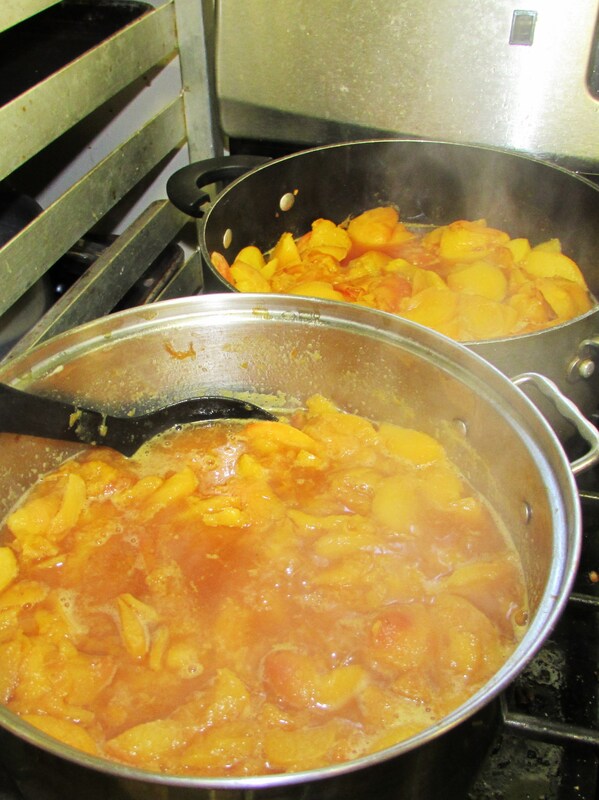 This was all going really well until I realized my pectin to peach ratio wasn’t going to work out. So I drove franticly to our little general store and asked the little old lady and the little old man who own it if they had any pectin. He said they did but thought it was out of date so I could have it if I wanted it. I did. But she said she thought she threw it away. 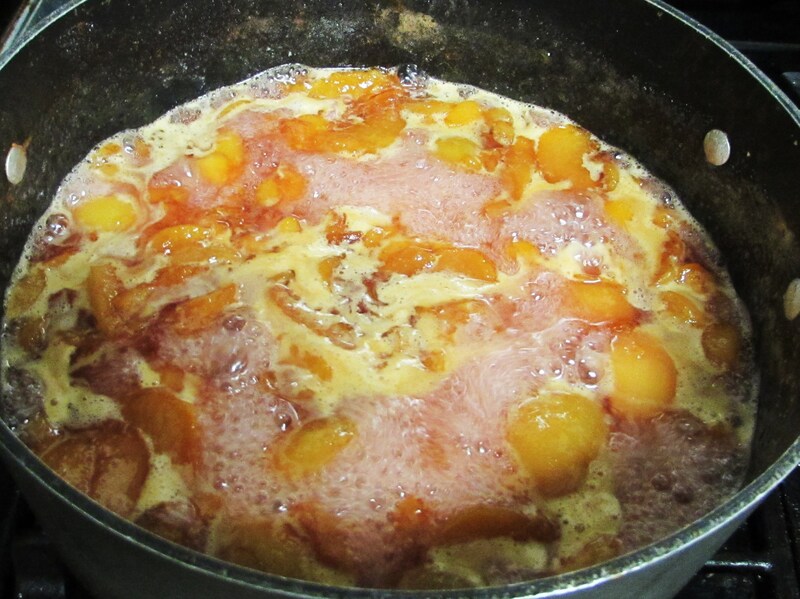 I had 3 pots of peaches boiling on the stove. The lady and I had a quick conversation in which we decided unflavored gelatin would probably work. I said I’d try it and let her know. Thank God I didn’t burn them. I prepared to jar up the first batch. I had everything I needed all in place…. I should have been a boy scout, look at how prepared I am! 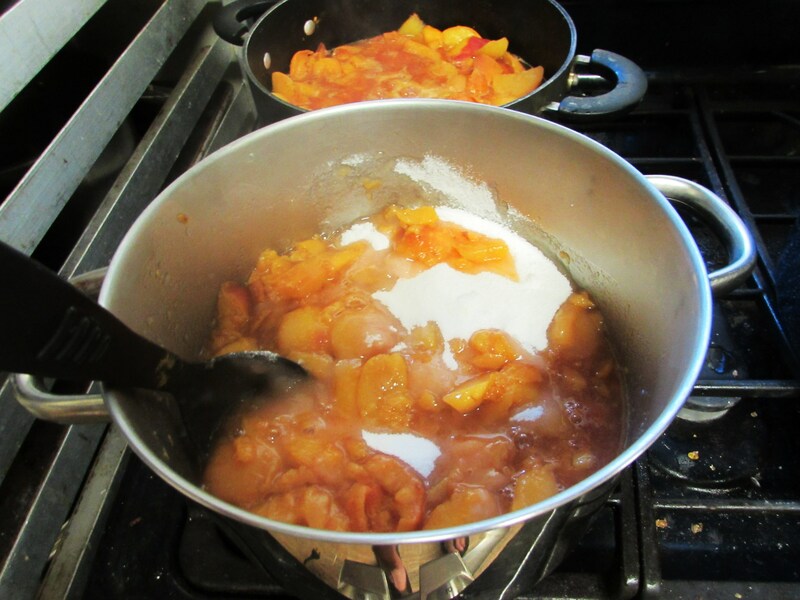 Only….a boy scout would have probably not run out of pectin. 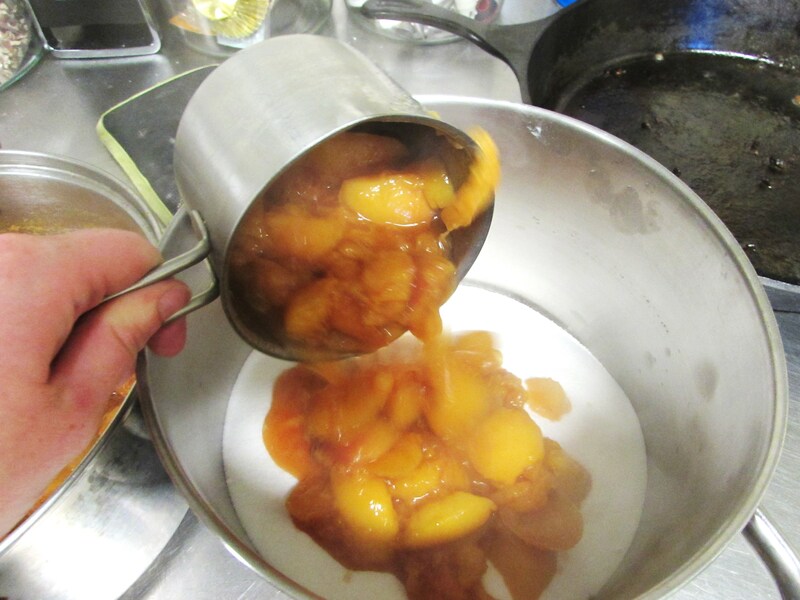 Actually a boy scout probably wouldn’t be making peach preserves at all so I shouldn’t compare myself. Comparing ones self to others is unhealthy. 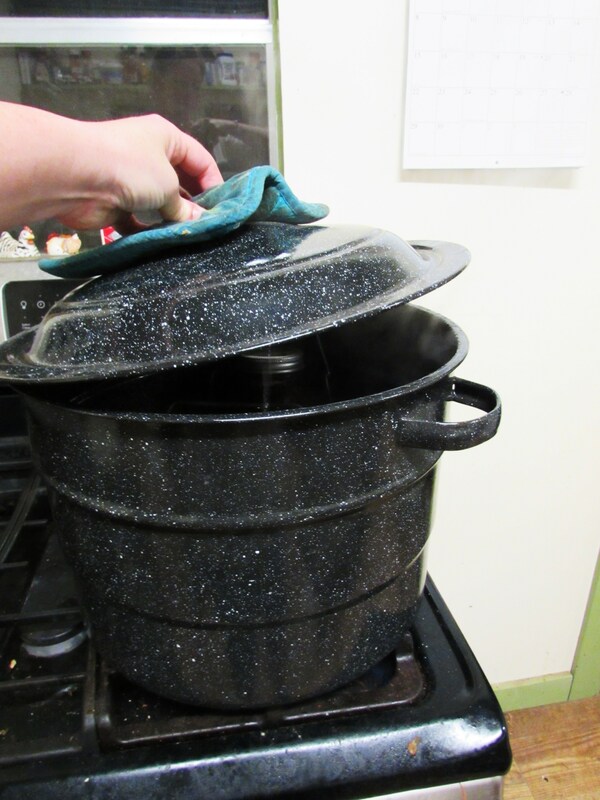 The dreaded, oversized but no longer dusty canner…. They all came out beautifully so I continued. The second batch was going equally well until I went to remove them from the water bath. Random peaches were floating in the now yellow water. Not good. 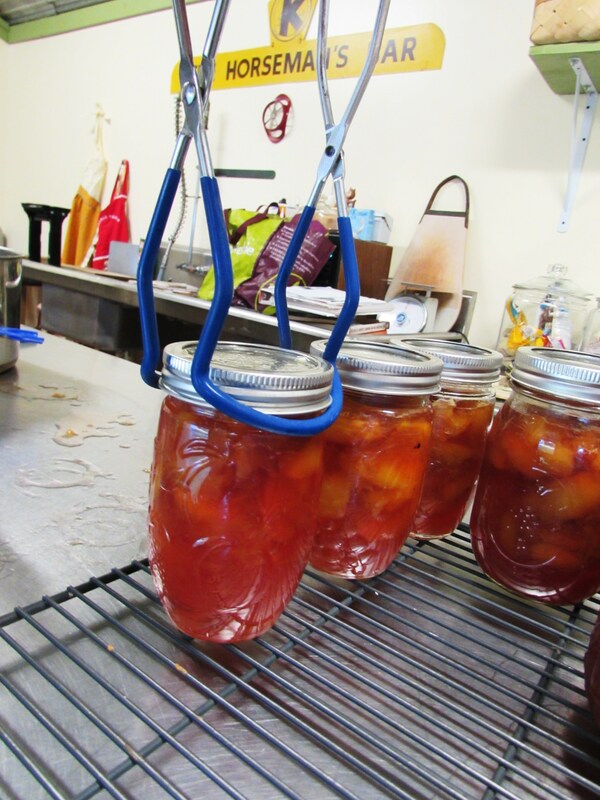 This is a stark reminder of why you heat the jars before filling them with boiling fruit, pectin and sugar. But aren’t the ones that made it pretty?!? But was I done? No indeed! You know those blackberries my mom picked for me? I had about 4 cups left on the verge of non-goodness. “Waste not want not” I think to myself. 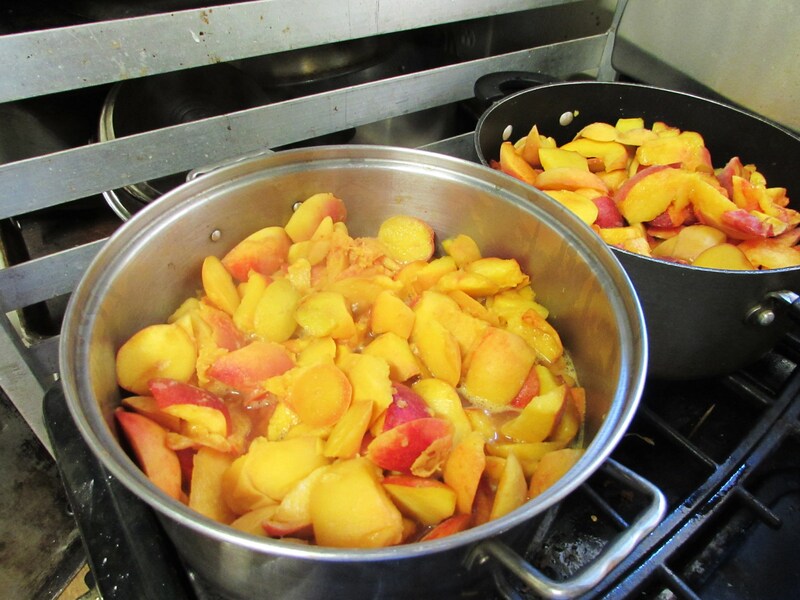 And throw them on top of the last batch of peaches without further ado. 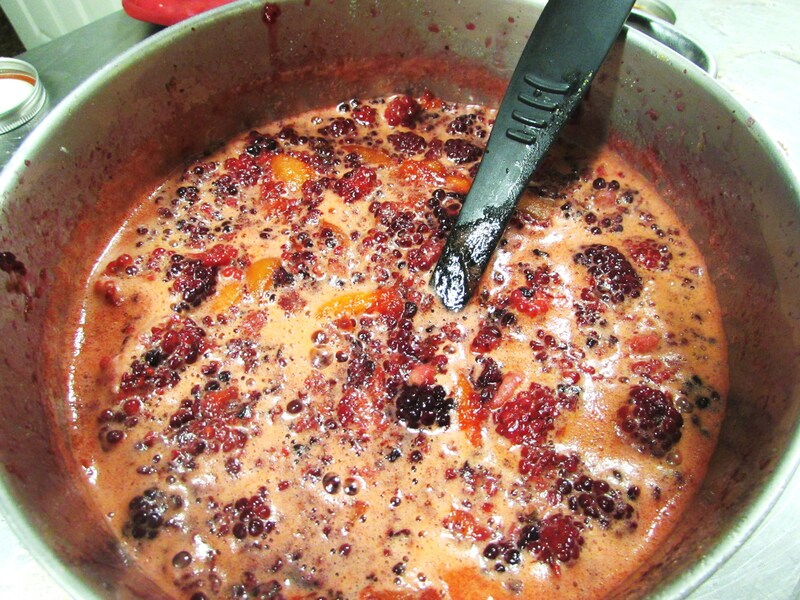 I was a little shy of having a full batch so the berries were the perfect solution I reckoned to myself. Myself and I talk a lot. 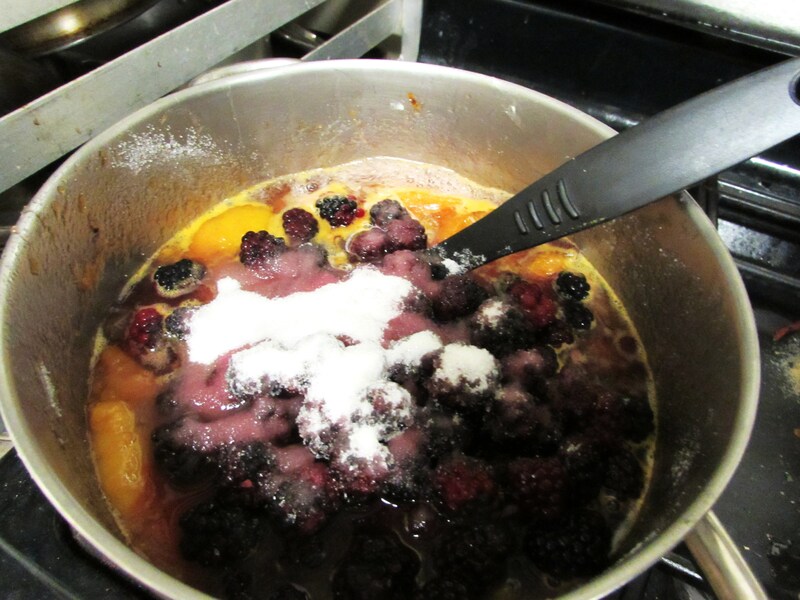 It was looking pretty good and I threw in a little more sugar ’cause more sugar never hurts. Into PRE-HEATED jars this time. I have to admit, I was fairly surprised at how well these turned out. Not only were they pretty but they taste good! Next time I will cook them down about 30 minutes longer just to get them to thicken up a bit more. Other than that, not changing a thing. And the little old lady at the general store, I need to take her a jar. The way God intended peaches to be consumed. Beautiful! 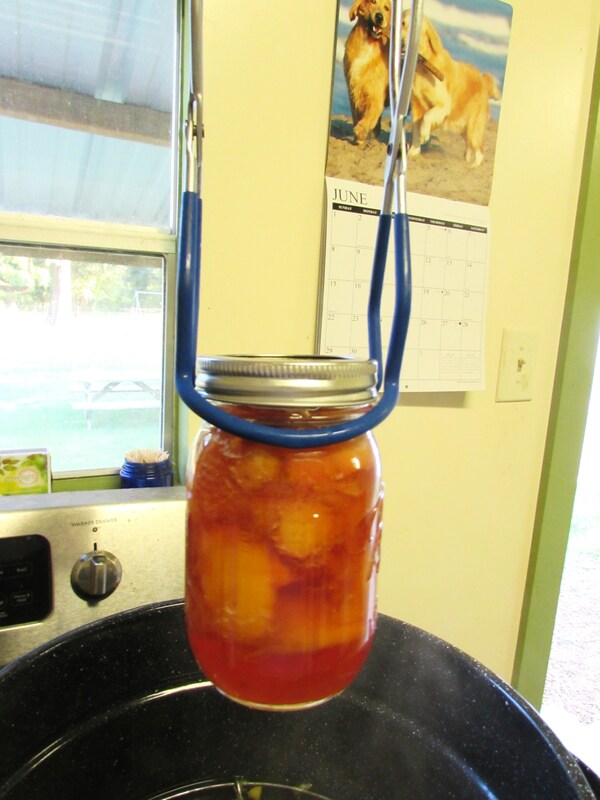 My favorite way to jar peaches is with clove and cinnamon, so good! Nice job! Clove and cinnamon, that sounds good! 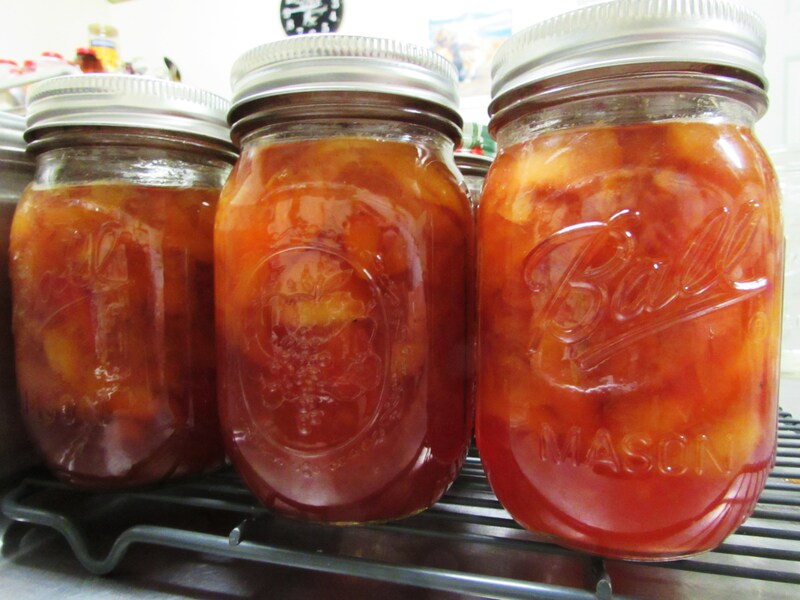 That’s how my Mamaw canned peaches; in halves with a stick of cinnamon and cloves. Not me. 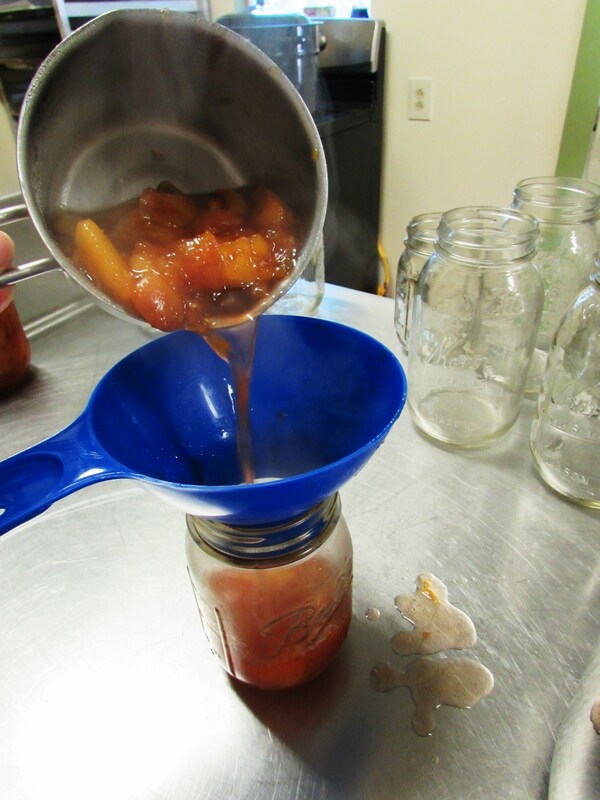 I’m all about peach jam! I’m canning pickles tomorrow morning. Bought an entire box of cukes for $5. Relish time!! !